Micro FPV frame: Stealth Racer P1 - 2018 by losserfpv is licensed under the Creative Commons - Attribution - Share Alike license. This is a compact frame / shell for a brushless micro race drone with 2 inch propellers. I designed it for use with the Lizard95 electronics and motors in combination with the Runcam Micro Swift FPV camera and the Eachine ATX03 video transmitter. Instead of buying a Lizard95 you can also use the Eachine Minicube Flytower 20x20 stack. The 3 bladed propellers on the photo's are Gemfan Hulkie 2040 props. They are a perfect fit. The components are well protected against wet grass and dirt. Designed to protect camera and electronics in a crash. The sound of the beeper is still loud from inside the casing. Easy to use mounts for rubber bands to attach the battery. I would like to hear from you when you make one or you can post some photos here on thingiverse. You support me by using the links in this text when you buy some of the components. I have had the best results with PETG filament. Printed at 100% infill. Looks good and is strong. Survived a number of crashes already. I have also tried ABS and Polycarbonate, but these were not that durable as the PETG version. I have started learning 123D Design a few weeks ago. I had some experience with Wings 3D and was able to learn the basics pretty quickly. Ones I've got some skills I started designing. I wanted to use the components of my Eachine Lizard95 and wanted to add a Runcam Micro Swift camera along with a ATX03 video transmitter to it. I wanted the components to be protected against wet grass and dirt. I started recreating the components that I wanted to use first. Then I started working on the frame. It took me a few nights to get to this design. Started from scratch multiple times. 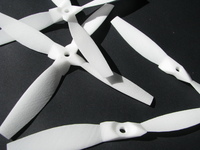 Say thanks by giving losserfpv a tip and help them continue to share amazing Things with the Thingiverse community. We're sure losserfpv would love a Tip, but unfortunately they have not setup their accounts to receive them yet.